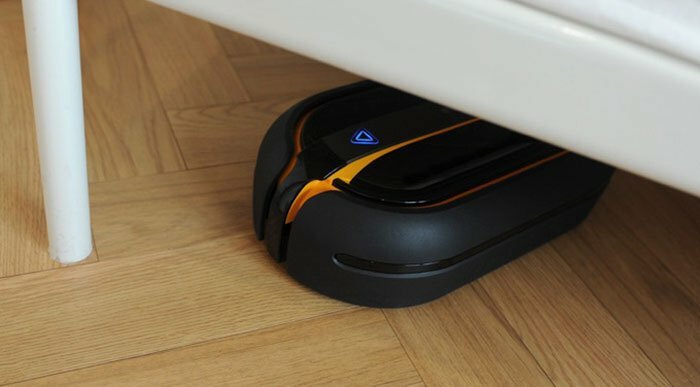 Everybot RS700 is a clever home wet floor mopping robot that spins in different patterns in order to reach the best floor cleaning. Everybot – the robot cleaner manufacturer in Korea – states that the device is suitable for hard floor, marble, tile, linoleum and vanished wood floor. Cleaning dirty floors is just the kind of mundane task that you would want to delegate to a robot. 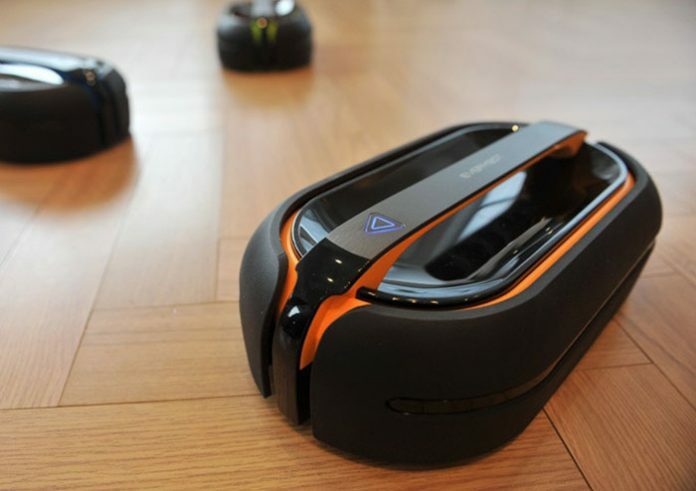 Everybot RS700 uses a bunch of sensors to cleverly seek out dirty spots in the dark. The RS700 is autonomous, meaning it can mop any floor without human direction. It has built in multi-directional and multi-axis sensors, meaning it can detect and avoid obstacles like furniture or objects left behind and can even detect and avoid hazards like staircases, floor vents and drains with its vertical floor sensor. Then you have the “Exit Shadow Area Technology”, which enables the robot to detect a darker area, like beneath a couch for example. You can also control it via a remote control, meaning you can direct it where you need cleaning and keep it focused on a dirty floor until it sparkles. From a design perspective, the first thing you will notice is that the Everybot RS700 has no wheels. Everybot developed the RoboSpin Technology, which controls the speed and direction using two dual spin mops without the need for wheels. The bot can control speed and direction of each pad on its own for optimized cleaning. The company claims that the RS700 provides perfect wet-mop cleaning by two kinds of mop constructions (Diving Yarn + Microﬁber). Diving yarn can wipe dirt and polluted particles. Microﬁber can absorb the ﬁne dust and stains effectively. Two different mop constructions can improve the cleaning capability and performance. An automated internal water supply feeds the pads – you can pull off the pads and put them through the washing machine when they need cleaning.